ADIs know they need to adapt their teaching style to suit individual learners, but there are some common conditions that can make learning to drive even more challenging, something that the team at Go Theory are keenly aware of. Having met the Go Theory team at 2018’s DI Show where the theme was teaching pupils with disabilities, we were impressed by the company ethos and determination to make theory tests accessible to all. 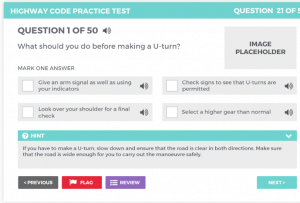 Go Theory founder and ADI of 12 years, Craig Trickett, developed the concept along with a team of ADIs to make learning for the Driving Theory Test as easy and achievable as possible. 1 in every 10 to 20 people in the UK suffer from dyslexia and while it has become more commonly recognised as a condition that is unrelated to intelligence, it is less widely known that it can take different forms. 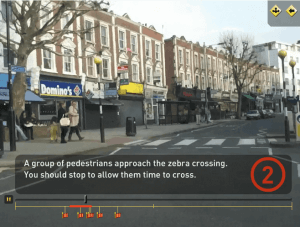 Aware of the challenges that face learner drivers with dyslexia, Go Theory worked in partnership with a specialist dyslexia organisation to provide a range of accessibility options for dyslexic learners ranging from colourand layout options to make text easier to read to providing audio descriptions so learners can choose to listen instead. The platform was developed to build confidence and identify any knowledge gaps, especially with dyslexic pupils, although the 1 in 12 men in the UK with red-green colour-vision deficiency also benefit from the ability to tailor colourways. For younger learners, dyslexia is typically diagnosed during their school years, however older learners may not be aware they are dyslexic. The British Dyslexia Association offers advice on how to identify and accommodate these learners, including some practical tips like using hand movements and driving simulators before attempting to drive on roads. They also explain that the key to teaching a person with dyslexia is to use multi-sensory learning and ensure that new information or skills are heavily embedded. For example, if someone has poor visual memory, then use their auditory or tactile memory to compensate. Dyslexics are likely to need lots of reinforcement to embed learning from the short-term memory so having access to online tests which can be repeated indefinitely helps support their learning journey. Most dyslexic people have excellent long-term memories so once the information has been absorbed then they are likely to retain it. Learners can pay to access the Go Theory platform individually, however many driving schools offer it as a packaged add-on, offering their customers the opportunity to improve their chances of a theory pass using the 16 manageable revision sections as well as being a potential differentiator for ADIs in their local market. If you want to find out more about how you can help pupils overcome any roadblocks in their learning then follow the links within this article and should you want to discuss how the Go Theory team can help your pupils achieve their potential then email info@gotheory.co.uk. SEAT Arona 1.0 TSI SE Technology review £100 fine for driving with loud music App you like it?